When I first heard I was going to be reviewing Poochy & Yoshi’s Woolly World, I turned on my Wii U and popped in my copy of the original game to see how far along I got in it. Turns out, I didn't make it past the first world. I blame Splatoon for that. So I went through and beat the game, then when the 3DS port arrived in the mail, I beat it again. Even though I had just played through those exact levels only a few days prior, I still found myself having an absolute blast with it. Poochy & Yoshi’' Woolly World is nearly identical to the original Yoshi's Woolly World, released less than two years ago. We reviewed it back then and that review still applies. The game is a bright, well-crafted adventure with memorable levels, engaging if simplistic boss battles, and so many adorable Yoshis you'll just want to squeeze them all. The most noticeable changes have to do with how you select levels, with a simple-to-follow straight path replacing the overhead 3D maps of the prior version. On the Wii U, the game looked fabulous if arguably a slight step down from Good-Feel's previous artistic effort Kirby's Epic Yarn. On the 3DS, the visuals get a bit more blurry and the threads don't have the same realistic texture as they do on the HD system, but it's no big deal. Despite the big downgrade in processing power, this woolly world still looks pretty good. If you haven't played the original, you're in for a treat. Poochy & Yoshi's Woolly World features some pretty impressive level design, with plenty of secrets to discover and threads to pull. What's great about the design is you're given time to explore as you see fit on most levels. With four different collectibles per stage, thorough exploration is required if you want to unlock every bonus stage and every patterned Yoshi. There are occasions where you'll have to hurry, like when Yoshi transforms into a mermaid or motorcycle, but this just makes for moments of excitement in an otherwise airy experience. I just wish these transformations played a bigger role in the campaign. As for new elements, those Poochy specific stages are an okay addition. These auto-run levels have you playing as Poochy trying to pop balloons, collect gems, and rescue the Poochy Pups. The stages themselves are well-designed and you're encouraged to return to them with challenges and new Gold Rush runs that have you chasing Lakitu through the stage as he drops gold gems. These Gold Rush challenges replace the mini-games from the original that were rewarded every time you finished a level while collecting a flower from the goal ring. Playing through the Poochy stages once or twice was fine, but I didn't find them to be a worthwhile addition to the overall experience. For the record, I was not provided a Poochy amiibo figure so I cannot comment on its functionality. 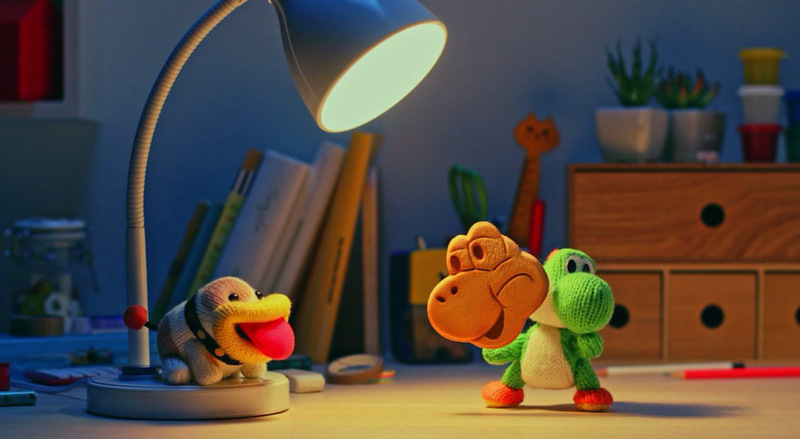 When you want to take a break from the action you can watch the completely adorable Yoshi and Poochy video shorts, create and trade Yoshi designs over StreetPass, and if the game ever becomes too difficult, you can always switch to Mellow Mode where you can get help from the Poochy Pups in finding all the treasures. 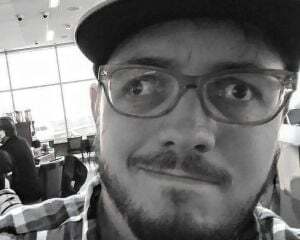 As an adult, I couldn't bring myself to use Mellow Mode more than one time to test it out, but back when I was a child I know I also wouldn't have used it because it takes the fun out of exploration, which is a big deal to me. 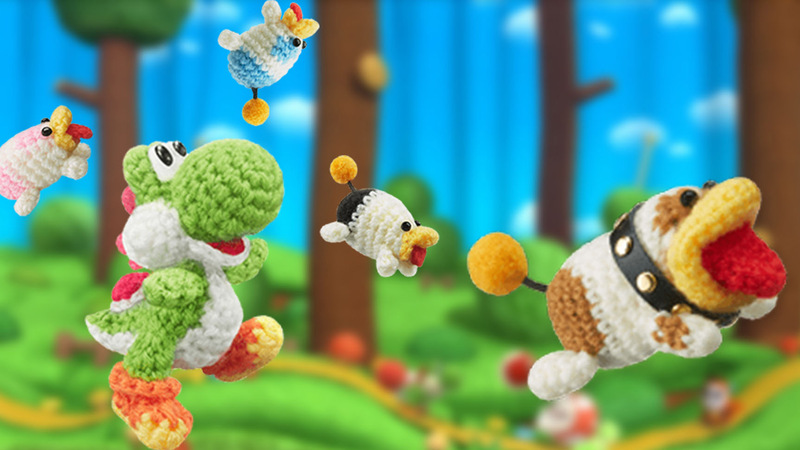 Poochy & Yoshi's Woolly World is as fun on the 3DS as the original is on the Wii U. The levels are just as crafty as before, the visuals take a slight hit but are still colorful and creative, and the soundtrack is so gosh darn charming. It's the best Yoshi game on the 3DS, and if you don't already own it on the Wii U, I would suggest picking it up. Oh, and the Waluigi amiibo Yoshi is my absolute favorite thing of 2017.